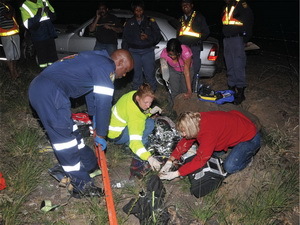 Ansie Jooste (right) and colleague Elsabe Venter, stabilise an accident victim before transferring her to hospital. They bring hope in times of despair. This time it was a motorist victim. Many times it is a truck driver. A car had overturned and there were injured people. Ansie Jooste and her colleague Elsabe Venter jumped into their emergency vehicle to go help. Patrick O’Leary went with. It wasn’t a long way from where we were working , about five kilometers and with Ansie driving, lights flashing and siren blaring, it took us no time to get to the scene. A Mercedes-Benz car with father, mother and daughter travelling together had rolled coming down the lower stretch of Van Reenens Pass. The mother was lying in the cold grass next to a cold road on a cold night. The daughter was frantically phoning relatives and the father was leaning up against the crunched car, dazed from the shock and a nasty gash in his head. Police were already on the scene. Ansie and Elsabe quickly summed up the situation and immediately started attending to the mother. From being cold, scared and lonely, the mother now had hope. So too did the daughter and father. You could feel a tangible sense of relief. The ‘˜angels’ had arrived. While Elsabe covered the mother’s shivering body with a silver space blanket, Ansie was examining the father. Happy that he was going tobe OK and didn’t need immediate treatment, she then turned her attention back to the prone mother looking into her eyes with a small torch before checking for other vital signs , pulse, blood pressure, where she felt pain. “She suffers from high blood pressure,’ said the daughter. At the same time Elsabe was preparing a drip, Ansie ran to get her portable ECG equipment from the vehicle. I stood shining my torch between the two of them. Normally I would be flashing my camera but my job seemed so small, insignificant and unimportant compared to the work these two women were doing in trying to save a life. The night was dark, cold and unfriendly but they were bringing light, warmth and hope to all. In paramedic circles they talk of the ‘˜Golden Hour’. It is in this hour immediately after an accident that paramedics try everything they can to stabilise patients for safe transfer to a hospital where they can be further treated. It is in this hour that the application of their knowledge and expertise becomes an issue of life or death. Quick decisions and fast action are what is required and these two ladies were masters at it. As I alternated the light of my torch between Elsabe preparing the drip and Ansie preparing the ECG machine and attaching the clamp to the mother’s finger, I looked up at the father, daughter, cops and tow trucks guys , yep, they were there too – and I felt tears come to my eyes. Every one of them was staring down at these two women working on the mother. They were all silent but you could feel the sprit of goodwill reaching out to the two paramedics. “Her life is in your hands and we’re with you all the way,’ is what that circle of hope was silently saying. My emotion was running high but for these two, there was no time or place for emotion. They had a job to do and were going about it in the only way they know how , professionally. The only talking they did was to interchange instructions with each other and to occasionally smile and whisper to the mother that she was going to be alright. It was soon after that the ambulance personnel from Ladysmith arrived. They came down the grass embankment with a stretcher and Ansie prepared the mother for upliftment. There was more light now so I remembered my job and took a few photographs of the scene. Ansie then passed the drip to me to hold before strapping the mother’s neck with a brace. With the help of the ambulance personnel, they lifted her onto the stretcher and carried her safely up the embankment into the ambulance while I packed up the ECG kit and other equipment. The father and daughter followed them into the ambulance. While Elsabe briefed the personnel on what medical treatment they had done, Ansie attended to the father in the ambulance , again checking the open gash on his head. “He’ll be OK,’ I thought, taking Ansie’s smile and patting of his hand as a sure indication of this. Before she left, I saw him look into her eyes and say something. I can only imagine that his words expressed his most grateful thanks for what she and Elsabe had done for him and his family. She just smiled, patted his hand again and stepped out of the ambulance. There was no time for talk. She wanted the mother in hospital – fast. When the ambulance pulled off, the three of us stood there for a while. Amazing women! After a long evening, Ansie was out on Van Reenen’s pass again later that day helping treat the 50 passengers injured when an SA Roadlink bus hit a truck which allegedly did a U-turn on the highway. Note the truck cab in the air. (Pictures compliments: Mariska Grobbelaar). Little did Ansie know that by the end of the next day, she would again be at the bottom of Van Reenens pass on the scene of an accident helping the injured. This one was bigger. A truck had allegedly done a U-turn on the N3 and an SA Roadlink bus crashed into it. Both drivers had to be freed from their vehicles and the bus driver died on the scene. Over 50 of the bus passengers were injured and one later died in hospital. Ansie was there once again bringing hope to those injured. 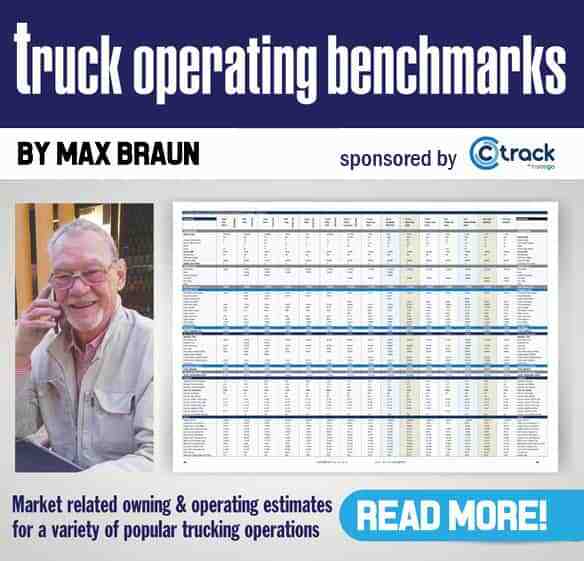 I relate this story not only to pay high tribute to these wonderful people but also because at the end of the lead story of this feature, FleetWatch has made a plea to the industry to help fund the activities of the Road Safety Foundation (RSF). At the moment, its founders Phillip Hull and Petro Kruger are funding it mainly out of their own personal funds with those good folk at the N3TC also contributing and supporting their work. In the case of Hull, these personal funds are accrued via his company, Community Medical Services, which gets most of its business from providing medical back-up to motor companies on their car launches around the country. It is from money earned here that he funds the activities of the RSF as well as Community Medical Services’ help activities in the Van Reenen area where, for over 27 years, he and a group of volunteers have been travelling down every peak traffic period to give help to accident victims and stranded truckers and motorists. The medical consumables such as drips and other equipment used on accident scenes are also paid for and replenished by him. Fuel and vehicle maintenance is also funded from personal funds. Through incidents like the one described above, hundreds of lives over the years have been saved by these good people. I recall John Schnell, then head of the Road Traffic Inspectorate of KwaZulu Natal, telling me that without the work Hull and his team do in the Van Reenen area, many lives would have been lost as emergency services are just not able to cope. Gloves off and a job well done. A smiling Ansie leaves the injured in the hands of the ambulance personnel for transfer to the Ladysmith hospital. Another life saved. Ansie Jooste is now employed full-time by Community Medical Services and is out there every night helping truck and car accident victims , often in the most dangerous and horrendous weather conditions. Elsabe Venter, with her husband, runs the Vaal Emergency Services as a private operation and volunteers her time when she can for the Van Reenen operation. During the day, Ansie is out visiting the nine schools in the area that have been adopted by Community Medical Services where activities such as heath care services, sporting activities, life skills support and others are embarked on for the good of the community. Blankets and clothes are also donated to the children when needed. Each year, some 1 600 new children enroll at these schools and she photographs and documents the age, weight, height and other statistics of each child to keep a record and monitor their health progress. Eye tests are also conducted on each child once a year and if glasses are needed, these are donated free of charge. It’s all the right stuff. As mentioned in the lead story, if any company feels they can contribute, please contact FleetWatch and we will direct you further. These people are doing excellent work. 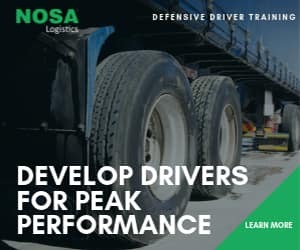 They need the support of the industry as they go forward in their efforts not only to try improve the safety of the industry but also to save lives. Let’s give them that support. They are there for the industry. Let the industry be there for them. As featured on the cover of our August 2010 edition, the ‘˜Angel of Van Reenen’, Ansie Jooste, continues to save lives on Van Reenen’s Pass. She, and others like her from this great organisation, might have saved one of your driver’s lives in the past , or even one of your family’s lives. They are there when the cry for help is heard , just as they were there for the family above. Are we going to be there for them?